Construction continues on several upgrades at Point Pelee National Park. Work underway includes replacement of 500m marsh boardwalk with a new, wood and metal design, the installation of new, slip-resistant, tower steps and a renaturalization of some areas of the marsh to benefit fish, turtles and other wildlife. This work will wrap up at the end of March. A refreshing of the tip is also underway. This work includes a new 24-meter observation tower will allow visitors to soak in a 360-degree birds-eye perspective of the “beginning” of mainland Canada – from Essex County to the North, across Lake Erie to Pelee Island in the south, and unforgettable sunrises and sunsets. In addition, the washrooms and shelter area will be refurbished, and the trail network will be redesigned for an improved visitor experience while protecting a sensitive ecological area. Construction on this will wrap up by the end of winter. 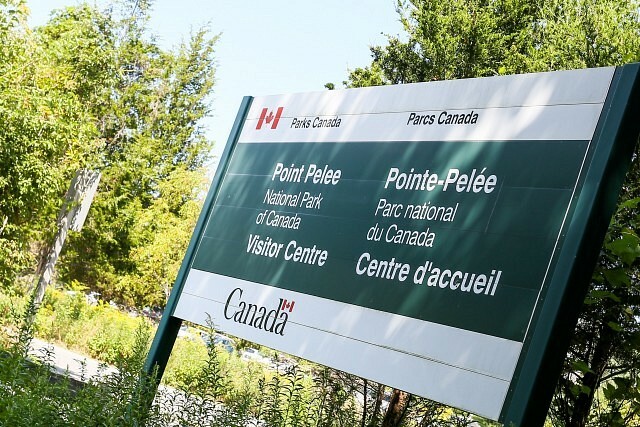 Camping reservations for 2019 are now open for Point Pelee’s 24 oTENTik sites by visiting Parks Canada’s Reservation website at www.reservation.pc.gc.ca or by calling 1-877-RESERVE (1-877-737-3783). Also available for gatherings are the Northwest Beach Pavilion and White Pine Picnic Area, as well as group tent camping. Reservations for these facilities can be made by calling the Park directly at 519-322-2365, extension 3336.